This is one scary psychological film that I highly recommend for horror fans. 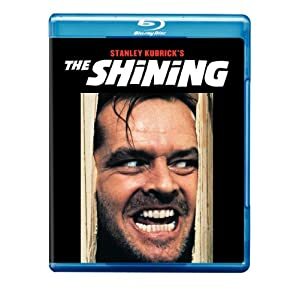 Made by the legendary Stanley Kubrick, The Shining is a screamer that keeps you engrossed to the very end. Who could ever forget the scene where Jack Nicholson smashes the door open with an axe? Honeeeey, I'm hoooome! Based on a Stephen King novel, you can be certain the story is scary. A wonderfully unsettling blend of the supernatural and insanity, this is a classic that creates fear bordering on hysteria.